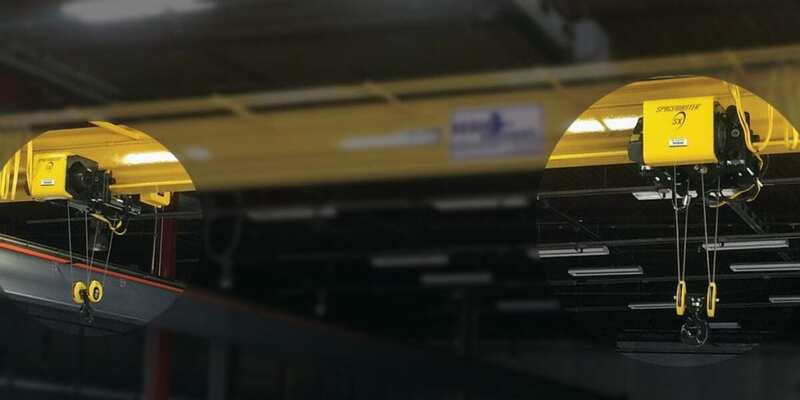 Whether you are using a single girder or double girder bridge crane, a jib crane, or a workstation crane, it’s important to have the right crane hoist for the application to make your operation successful. Uesco Cranes is a master distributor for the top brands of chain and wire rope hoists. For many years we have served thousands of organizations, helping them to use the appropriate hoists for their overhead material handling needs. With capacities from 1/8 ton through 3 tons, electric chain hoists are among the more popular low-capacity hoist options among our end users. You can choose from a variety of different configurations with varying control types, trolley configurations, lift heights, and voltage. 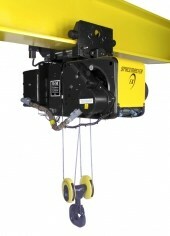 These hoists are excellent for work environments requiring no sparks with low headroom. They are powered using compressed air, and they have a wide range of lifting capacities, lift heights, and speed options. 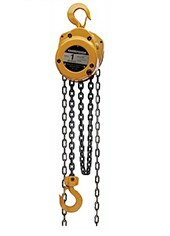 Hand Chain Hoists are the most cost-effective types of hoist. The are great is tight spaces with low headroom, and they do not require electrification. However, even though they don’t require electrical power, don’t be fooled. 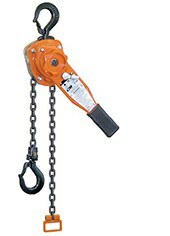 They are rugged and able to handle lifting up to 10 tons or more. 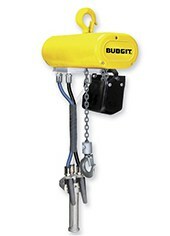 Another hoist option that does not require electrical power is the use of lever chain hoists. These highly efficient models are used for a variety of applications for both indoor and outdoor use. . When you need to do heavy lifting, call upon your wire rope hoists to fit the bill. 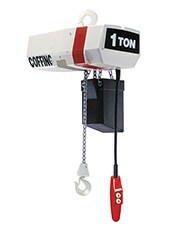 They offer faster lifting speeds, lower headroom, and more capacity than standard chain hoists. Available in both top running and under running configurations, wire rope hoists are available in the widest possible capacity range, some exceeding 35 tons.